Anything you wear on your head affects your appearance. As an interim step toward face tattoo, consider grooving to the beat of your own drum with Skullcandy INK'D Earbuds. They combine stylish good looks with great sound--all at a great value. The 1.3-meter cord gives you the freedom you need without becoming cumbersome, and the high quality 3.5mm plug is gold plated to resist corrosion. 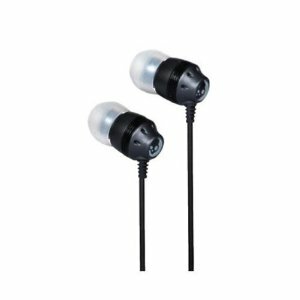 Skullcandy INK'D Earbuds also include 3 different sizes of silicone ear tips to customize your listening experience.